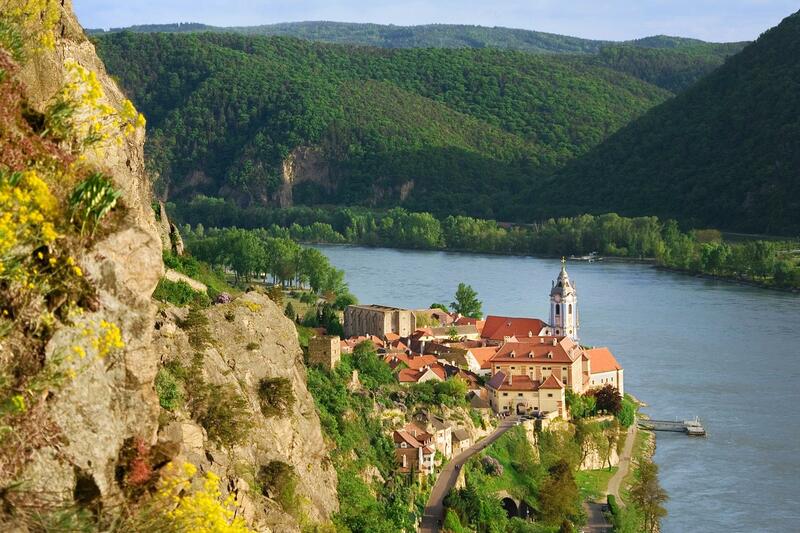 Cycle through Austria, Slovakia and Hungary on this easy going cycling tour along the Danube River. From the musical city of Vienna, ride through the towns and villages of Europe's most famous waterway finishing in the fairy tale city of Budapest. 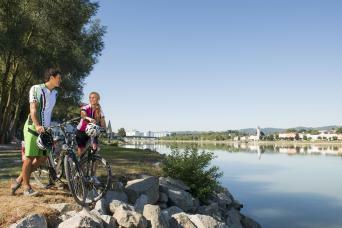 Starting out from Vienna begin with an easy-going ride along the River Danube before crossing into Slovakia. Explore the capital city, Bratislava, where medieval castles meet head on with socialist-era architecture. Cycling along easy-going country lanes, to the famous panoramic ‘Danube Bend’ as you head for the fairy tale castles of Budapest. Here Eastern Europe meets Western, and there is plenty to see and do, but if this sounds all too tiring, you may prefer to plump for the customary experience of heading to one of the cities hot springs and enjoying a long hot soak! Easily reached, Vienna's nearby airport has extensive connections across Europe and beyond. 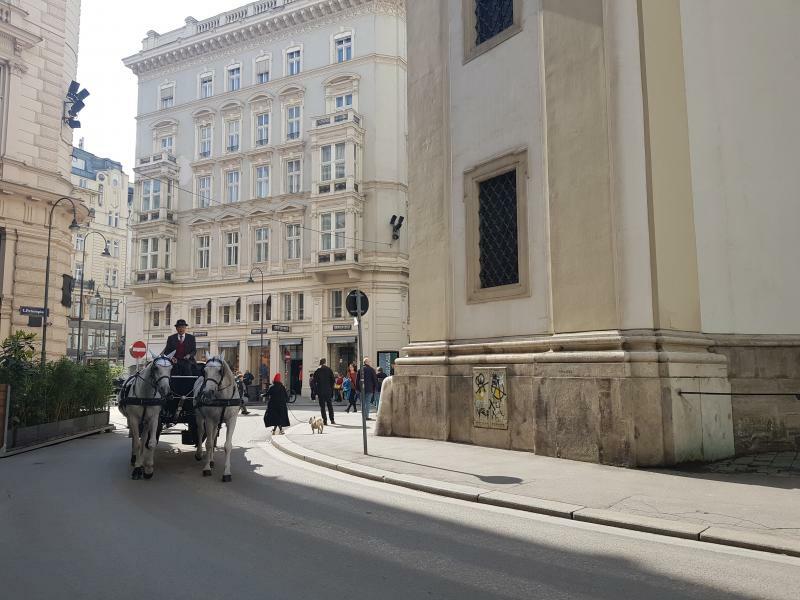 On arrival stroll through this wonderful “City of Music” and visit some of its famous attractions, such as the giant Ferris Wheel Riesenrad and the fabulous Hofburg Palace. The stunning architecture and interiors of the Cathedral of St Stephen, the State Opera House and the Votifkirche should not be missed. Leave enough time for a relaxing drink and snack in a famous Viennese coffee bar or enjoy local foods in a typical Viennese tavern. Today’s theme is peace and relaxation, although you will still be cycling for a few hours! Not far from Vienna you’ll discover an off-the-beaten-track landscape and a Nature Reserve boasting a stunning and diverse collection of flora and fauna. 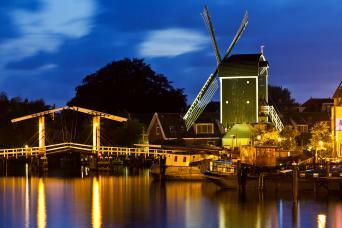 This is your chance to revel in the wonderful peace and tranquillity of the region. At the town of Bad Deutsch Altenburg, the Archaeological Park of Carnuntum awaits, offering a fascinating journey back to ancient Roman times. This morning cycle on to the city of Bratislava, the capital of Slovakia and Europe’s youngest capital city. 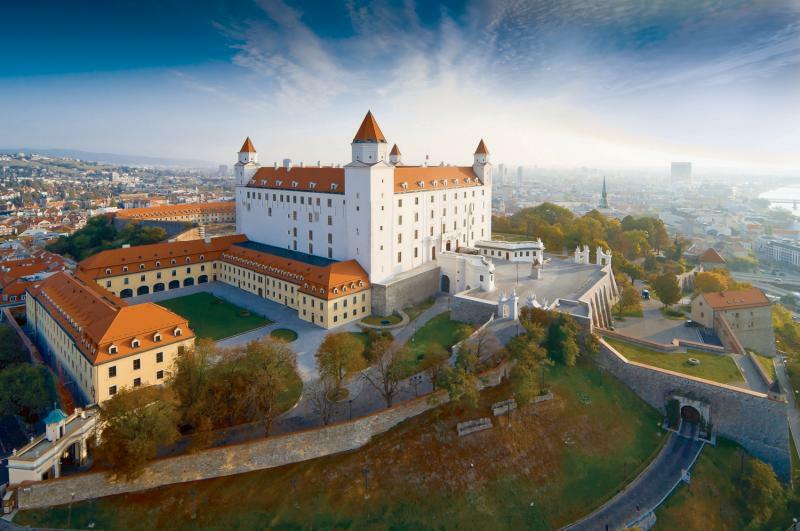 Located between the Danube plains, hills and vineyards, Bratislava enchants with its dreamy old quarter and walled castle which sits above modernist influences of recent decades. The wild and untouched land and waterscape of the Szigetköz is an idyllic paradise for birds and fish. 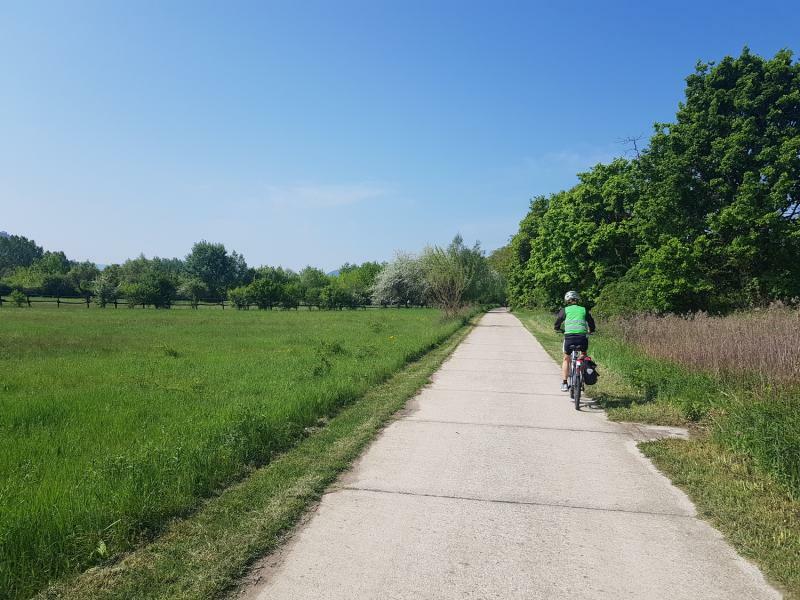 Cycling from Bratislava, you will relish the tranquillity and the stunning scenery encompassing 500 tiny islands boasting numerous farming villages and a labyrinth of countless Danube creeks. A train journey takes you to Györ, with its beautiful Baroque-style old town. Did you know that the National Stud of Babolna is world famous for breeding truly magnificent Arabian horses? On a visit to the stud farm and museum, you’ll catch a glimpse of some of the secrets of the Hungarian horse breeding techniques. 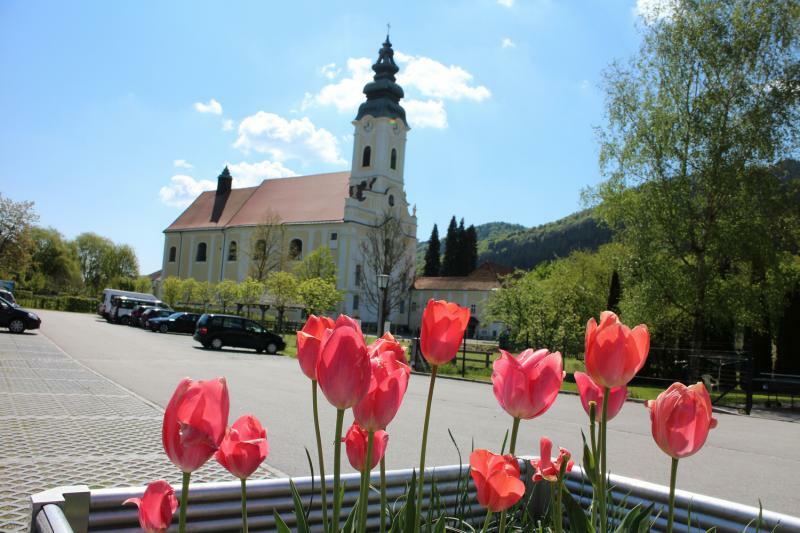 Today’s cycling takes you through lush, rolling hills on mainly quiet country road into the village of Komarom, which was much favoured by the renowned King Matthias. The Magical scenery and quaint villages accompany you on your cycle today, first along the banks of the Slovakian Danube and then via small, quiet roads. On your way to Esztergom – known as Hungarian Rome and the Town of Bishops and Kings – you’ll pass the impressive Roman fort of Kelemantia. Another highlight is the magnificent Hungarian Danube Bend located just past Esztergom. 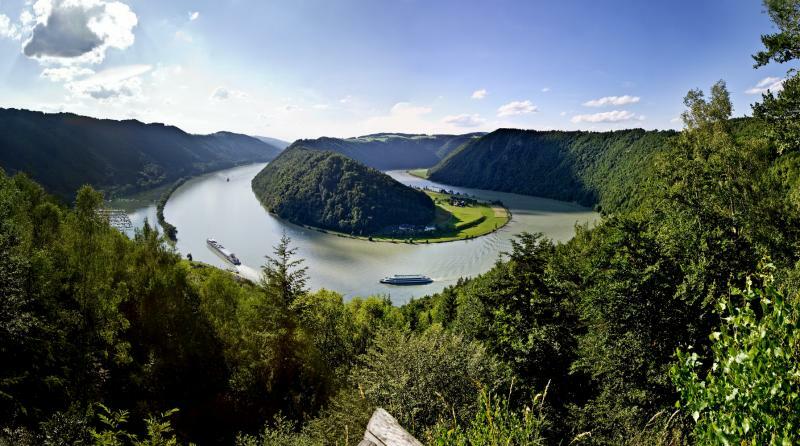 Acclaimed as one of the most beautiful sections of the Danube, the river here winds through the Visegrad mountains and then makes an abrupt turn south between Esztergom and Szentendre. In the Basilica of Esztergom, you’ll find Hungary’s largest Catholic church and all kinds of attractions to explore. Amid the hilly landscape of Hungary, the River Danube divides into parts and gives form to the Szentendrei Sziget island. A short ferry trip brings you to the island where you can cycle through traditional Hungarian villages and settlements, including Szigetmonostor. A highlight town is Szentendre, which is famed for its numerous handicraft boutiques and the Open Air Museum of Skanzen. The final destination on your cycling tour is Budapest, where you’ll welcome the chance to experience the atmosphere and attractions of this wonderfully cosmopolitan capital. It’s a city where Eastern Europe meets Western and there is so much to see. Depending on your onward travel arrangements, you may have time to take in more of Budapest's historic sights. If you require return travel to Vienna, we can provide public bus tickets (limited times and services). accommodation in standard ensuite double/twin rooms in 3* hotels and inn's. We can also upgrade you to 4* hotels if you prefer. supplementary payment. This trip is also available to solo cyclists and is perfect asbeing a popular route means there are plenty of people to chat with every day. 7 breakfasts are included. Packed lunches are available from your accommodation (order the night before) or you can stop on the way for a traditional wurst or bowl of goulash. Travelling through 3 countries means your tastebuds are also on incredible journey! You will find suggestions of where to dine in your route notes. Your accommodation hosts are also happy to advise of the local places to eat. This tour is available for departure on Saturdays during April and October. From May through to September, you can depart on a Friday, Saturday or Sunday. We suggest you contact as soon as you have finalised your travel plans as this tour is very popular from June through to September. Please note that during May 2019, Bratislava will be hosting the 'Ice Hockey World Cup'. If you are planning to depart during May 2019, itineraries during May 2019 will be amended on days 3 and 4. Your adventure specialist will be happy to discuss the changed routing with you. May to September are the busiest months, and in July and August the days are wonderfully long for exploring and making the most of the historic centres you will visit. The summer months generally do not become unbearably hot and temperatures are often pleasantly warm, especially for cycling. Do keep in mind that some days will be hotter than others and it is important to make sure to always carry plenty of water, avoid cycling at noon and wear sunscreen while cycling. an information pack for your trip. Should you require 24/7 telephone support is provided should you have any problems along the way. Daily door to door baggage transfer is included in the price of your trip. We ask you to keep your baggage to a maximum of 1 bag per person (maximum weight 20kg). Bike hire is available, including electric bikes, children’s bikes and other specialised equipment available upon request. All rental bikes are equipped with a pannier (saddle bag), lock, basic repair kit and a speedometer. Helmets are not included with the bike hire. You can purchase one to be provided with the bike, however bringing your own is likely to be a better fit and be more hygenic. activity and emergency evacuation and hospital care. All bike tours are unescorted. The mileages and approximations are distances of the recommended routes. In Austria it is mandatory for children under 12 yrs to wear a helmet when on a bike. In Slovakia you have to wear a helmet outside the city limits. In Hungary a high-vis safety vest is required. Please be prepared by packing all necessary items, for, example, proper rain gear (jackets and pants), sun hat, sunscreen. Your information pack has a detailed equipment list which includes standard walking/cycling gear such as good walking boots or shoes, warm and waterproof clothes for the cooler months and lightweight clothing for summer and a day pack. By Air: Vienna Airport has extensive airline connections across Europe and beyond. Vienna Airport train station has a direct service through to central Vienna every hour (journey time 15mins). Please see Trainline Europe for times & prices. If you prefer to travel to and from Budapest, it is very easy to travel from Budapest Airport to Vienna. Budapest Airport shuttle bus is a short journey to Budapest Ferihgey Train Station. Change here for direct services to Vienna (approx 4 hours journey time). Please check The Trainline Europe for tickets and prices. Included in the tour cost is a public bus ticket from Budapest to Vienna. Times and services are limited, please let us know at the time of booking if you require a ticket. This service can only be provided at the end of your journey. You may prefer to fly out of Budapest Airport. Budapest Airport has extensive airline connections across Europe and beyond. and is easily accessible via an airport shuttle bus service. If you are making your own return travel arrangements to Vienna, the train service between Vienna and Budapest has regular services throughout the day and takes around 2hrs 30mins. Please visit Trainline Europe for times, prices and tickets. Handlebar bag with travel book, maps and information pack per room. Return travel from Budapest to Vienna is available by public bus (this is included but must be pre-booked). We are often asked the following questions and we hope that you will find the answers useful. Please don’t hesitate to contact us if you have any further queries. This trip is graded easy to moderate. The route is predominatley flat but there are some gentle hills in the last couple of rides. Daily distances are between 30 and 60km so you will need to have a basic level of fitness. It's a good idea to get out on your bike for a couple of consecutive days in the lead up to your holiday so you get used to riding back to back days. 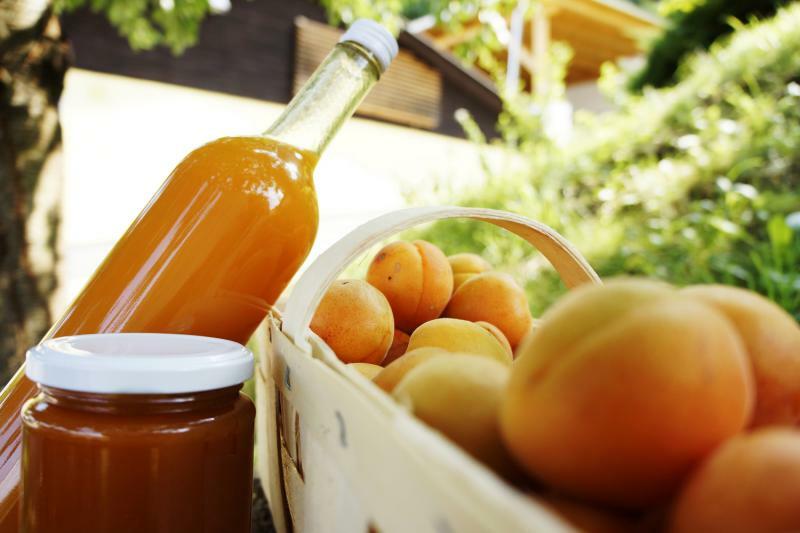 As each route heads through the villages and towns along the Danube River there are plenty opportunities to sample local foods, explore historic towns or kick back and relax in a pavement cafe with a local sweet treat. We suggest you book as soon as your plans are finalised as this trip is extremely popular especially during peak season from June to September. You will need comfortable shoes and clothes for cycling and weather appropriate gear such as waterproof jacket and trousers, a cycling helmet and a sunhat. We supply a detailed packing list with your information pack. What happens if I can't walk/cycle a stage? You can use public transport or local taxis to continue to your next overnight stop. You accommodation hosts will be happy to talk to you about local transport options. Not a cyclist but rode the bike in the gym and managed the cycling without too much trouble. Occasional problems navigating out of the towns - handy to have GPS - but otherwise no problems following the route. The organisation of the accommodation, baggage transfer, bike hire and necessary tickets all without problems. Enjoyed it thoroughly, even the challenging bits - cycling against the wind upslope on a road shared with traffic, and the occasional dirt tracks - but I fancy those parts made the trip even more memorable. A great father and daughter experience. Good exercise, great food, beautiful nature, fun wayfinding. When we needed to contact MACs for a hotel room type change they were immediately responsive and resolved our concern. 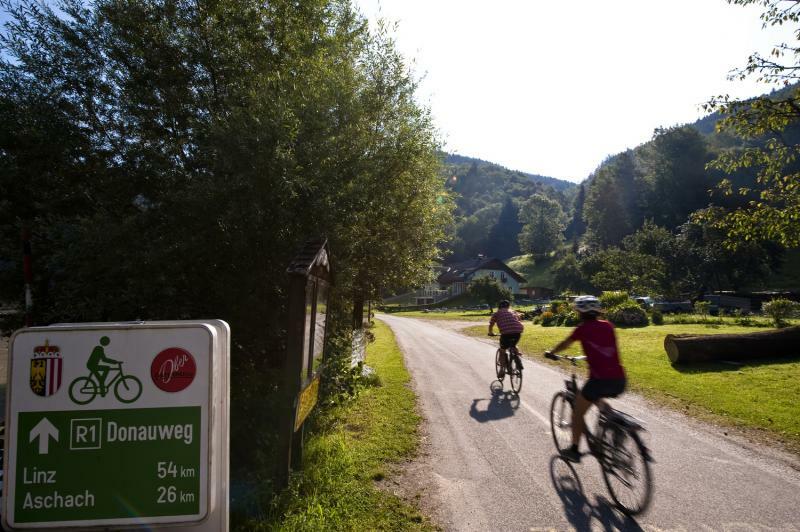 We thoroughly enjoyed the experience and would do another cycling holiday (this was our first). The route was not always near the danube and there was too much on roads. In Slovakia the signs were very poor. The hotel accommodations in Komarno was not good and should never be called a 4 star. Hungary was great, the people were very friendly and great food and wine. A fun trip with 2 friends, none of us had huge prior biking experience. E-bikes were easy, and worked well especially on the varying surfaces encountered. However, do not think this is a cycleway for 6 days along the Danube, seeing the river all the time. You will go through many villages, country and some VERY BUSY roads, small and large towns, and farm tracks - over as many surfaces as you can imagine, and more - some days barely seeing the river at all. It makes for an exciting week, and the cities are truly worth seeing. Be prepared to be lost with the map you are given en route. While being lost can be "fun" and diverting, it also means missing out on things you especially wanted to see eg. we cycled the extra way to Babolna to see the Arabian horse stud (especially outlined in the brochure) and couldn't find it - the directions given were completely incorrect. Very disappointing. Others completely missed the Hapsburg Hunting lodge - a real highlight - again, they couldn't find the turn off (mainly because this was part of a farm track at the back of a village). Updating the book - both with maps, enlarged maps, and explicit written directions on the type of road you are looking for, with definitions that everyone understands, has to be a relatively simple exercise, and would make for much more client enjoyment, especially if one encountered bad weather. If all of this sounds like a complaint, it is only that some people might prefer a route where the cycling is all along bike paths and one has consistent river views. Apparently the Passau-Vienna part is much more akin to that. This section is definitely 4-wheel driving on a bike on some days, which we enjoyed but it isn't for everyone. I'd recommend to a friend but with these proviso's. This is our fourth holiday of this type, and the second with Macs Adventures. Of all the trips, this is the one that least lived up to our expectations. If, like us, you had visions of cycling alongside the Danube you will be mostly disappointed. Apart from the last day, much of the time was spent away from the river. There was a lot of road cycling in and out of the cities. On the plus side, it is about as flat a route as you could hope for on a trip of this distance. The directions were, on the whole, inadequate and also relied heavily on "Euro 6" signposts, which were great in places, and absent in others. This is in comparison with our previous holidays, and also compared with what we saw of other people making the same trip as us but with other companies. Macs Adventures said were not able to supply us with GPS files for the route, but we asked the local agent (Rad+Reisen), and they were happy to supply very good files, which saved us lots of time especially in and out of towns. Rad+Reisen were very efficient: the bikes had been prepared and individually labelled with our names ready for pickup on the first day. Luggage transfers went without a hitch. The smaller hotels were of variable quality. The most pleasant cycling day was the last, with long stretches alongside the Danube, and a few short ferry crossings. To make the most of this day, and see sights along the way, an early start would be needed, as the included boat trip from Szentendre to Budapest leaves at 1700. We were lucky in having warm, sunny weather throughout, and would recommend adding at least a day at both ends in order to explore Vienna and Budapest. GPS MAPS would have made a nice trip a great trip. I ended up enjoying this trip quite a lot even though it had started out quite roughly. I found out the day before leaving that Mac's did not have GPS maps for this route yet. This was not mentioned in the materials I'd received. Upon arrival, the local contact gave me a vague guidebook and the hearty words of encouragement, "just follow the Danube". Thankfully I connected with folks from other companies after the first day that had proper GPS directions. I would not have enjoyed my time without this. The scenery and trails were very nice and the accommodations reasonable. The local contacts were ok but failed to tell me about several important changes in our itinerary that were quite important. I found out about them secondhand. If Mac's puts out a GPS guide for this trip and you can download it as part of your booking then this trip would be doable. Otherwise steer clear. The cycling is mostly flat and easy. Its just over 300 km. About two-thirds is on dedicated cycle ways and one-third on roads. The latter are mostly quiet country rods, but some are busy with heavy lorry and farm traffic. The city sections in Vienna, Bratislava and Budapest are mostly dedicated cycle ways and fairly easy to navigate. A surprising amount is away from the river on flat agricultural plain , as much of the area close to the river floods regularly and has no roads or habitation ( the so-called "inland delta" of the Danube. The best section is the final day from Estergom to Budapest which follows the river closely through picturesque scenery with several ferry crossings. The Rad & Reisen bikes and route guide were both excellent. The tour is graded easy to moderate and is perfect for leisure cyclists looking for a wealth of cultural experiences on two wheels. Cycle along the River Danube and enjoy easy going rides through the countryside, villages and cities of Austria, Slovakia and Hungary. With plenty of opportunities to sample local dishes and explore centuries old towns, every pedal stroke is completed in your own time.